In the January issue of Supreme Kids, the Luna Journal Business Talk once again addresses the topic of digitisation. This time under the emphasis customer connection in the digital age. Dealers are to receive thereby also the possibility to the customer’s requests of the Millennials better to be able to deal. The consumer barometer of the financial services provider Consors Finanz has examined the customer wishes of the first digital natives. This showed that Millennials continue to prefer offline shopping because they appreciate the advantages of stationary retail. 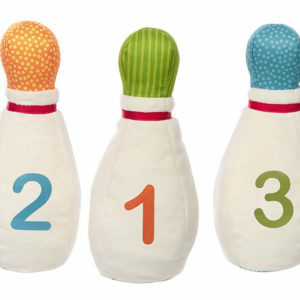 For example, 82 percent of over 3,400 respondents said it was important for them to see the product before buying it. 79 percent said they liked to test the product. Gerd Hornbergs, CEO of Consors Finanz: “However, consumer behavior and the demands the millennials place on businesses differ significantly from those of the older generation. The stationary retail trade must know and be able to meet the expectations in order to retain the important young generation of consumers in the long term”. In addition to the challenges of attracting and retaining the younger generation of consumers, the product range offered by retailers should also be right. From 25.01. to 27.01.2019, Supreme Kids exhibitors will be presenting their new products from the world of children’s fashion. Visitors can let themselves be inspired by the diverse brands in order to position themselves individually for the coming season. The following new brands will be represented at Supreme Kids: Haddad Brand Europe with Levis, Elodie Details, Veja Trade Fair, Nordlicht Agency with Antebies/Mayteks, Billy Lovers Audrey, Blue Pony, VintageLovedbaby, Sahde Critters, Loennebergas Welt, Garcia, Cara sina by 4 young, Looks Revolution, SmullStaff and Maglificio with “yours”. The list of Supreme Kids exhibitors provides a further insight into the brands represented. 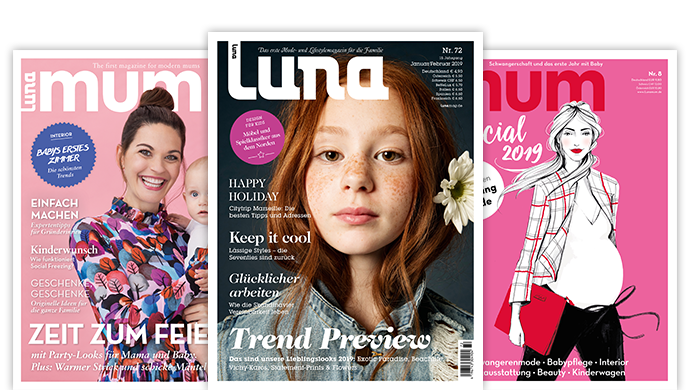 The fifth Luna Journal Business Talk will take place on Friday, January 25, 2019 at 1 p.m. in the 2nd floor (room 209) of the MTC Haus 1, this time on the topic “Customer loyalty in the digital age”. The social media manager Fenke Gabriel-Schwan of the Luna media Group will lead through the business talk next Friday and together with the talk guests will take up and explain the measures for customer loyalty in relation to the implementation of advertising measures, online payment methods and customer loyalty programmes. Adrian Vogel, Chief Technology Officer of littlehipstar, Sabrina Eckl-Wintzer, Marketing and Social Media Manager of Kinnings Babythings and Christian Klammer, Managing Director of Schuhtingstar, will provide an insight into their customer loyalty measures and exchange ideas. On the first day of the fair, an industry get-together for exhibitors and buyers of Supreme Kids will take place again this year. This event will begin at 6.30 p.m. in Munich’s Bachmaier Hofbräu.